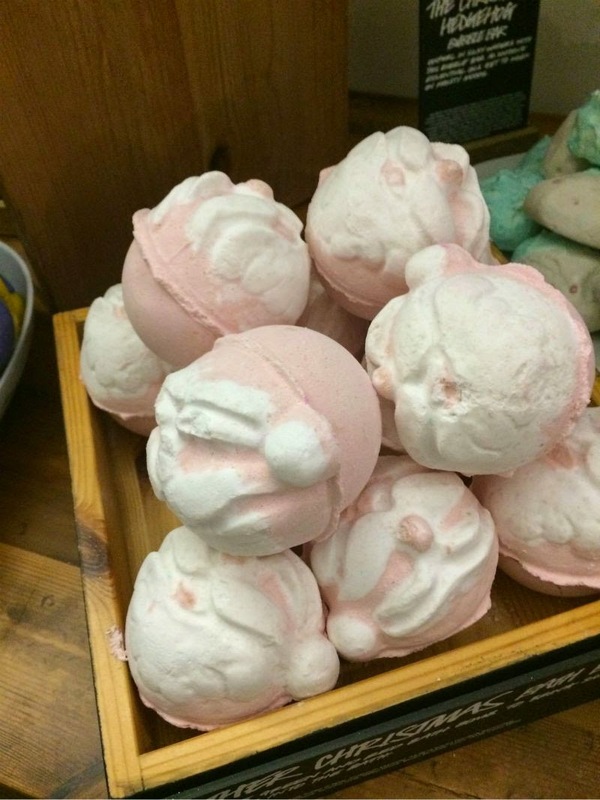 Lush Dashing Santa Bath Bomb £2.95 (new) - Once dropped in the bath he appears to run on the surface of the water. Pretty cool! Scented with Mandarin, Orange Flower and Bergamot. Lush Butterbear Bath Bomb £2.20 (new) - Super cute (sorry I don't have a snap), smells like hot chocolate thanks to the high concentration of cocoa butter. Lush The Christmas Hedgehog £3.30 (new) - A blend of shea butter, cocoa butter, rose absolute and ylang ylang. Isn't this little guy super adorable? Lush The Drummers Drumming £5.25 (new) - Essentially the Lush Magic Wand Bar but in a round shape with bells - like a huge bubble producing rattle. Again apologies there is no photo. 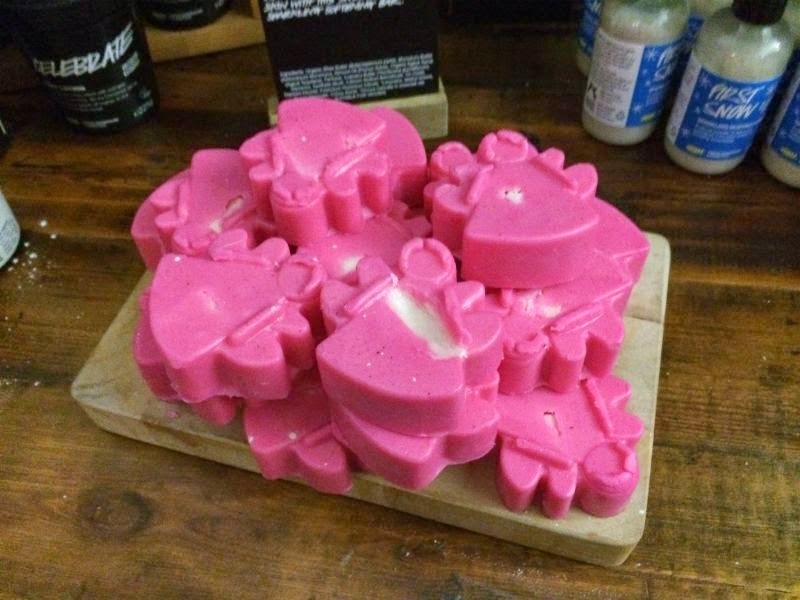 This has a strawberry fragrance that you may know as Lush Yummy, Yummy, Yummy? Lush Holly Go Lightly £4.50 (new) - If you like glitter you will love this! 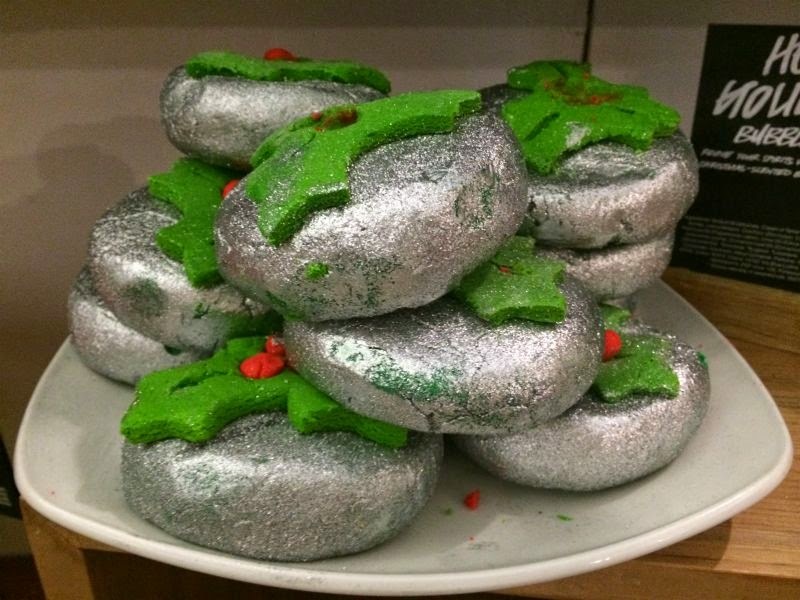 A big figgy pudding shaped bubble bar that is scented with lime, patchouli and cinnamon. 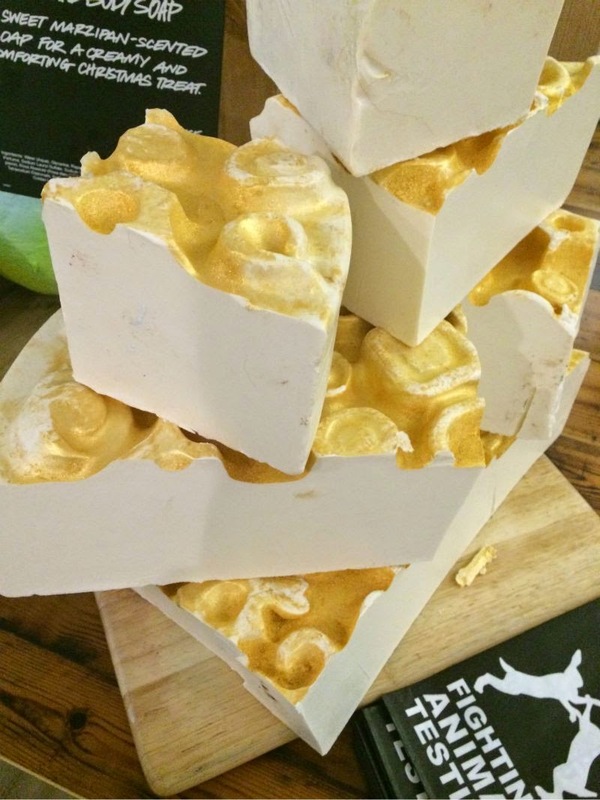 Lush Yog Nog Soap (new) £3.40 per 100g - An egg nog scented soap dusted with cinnamon and nutmeg. Yes it is based on the famous drink which I have yet to try! 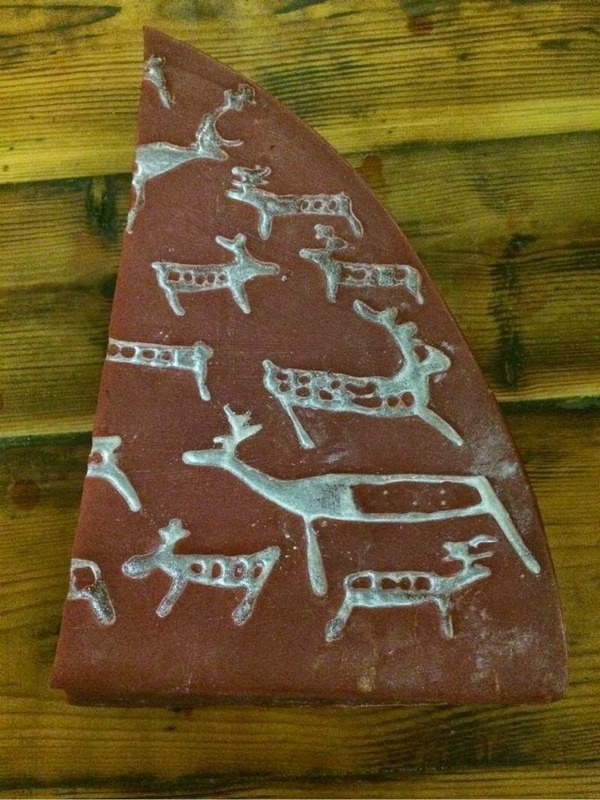 Lush Reindeer Rock Soap (new) £3.10 per 100g - All you need to know is that it smells exactly like the comforter. Lush Baked Alaska Soap (new) £3.25 per 100g - Based on the dessert (of course) and in my opinion is the most visually stunning product of the bunch. Has been scented with lemon, myrtle and grapefruit. 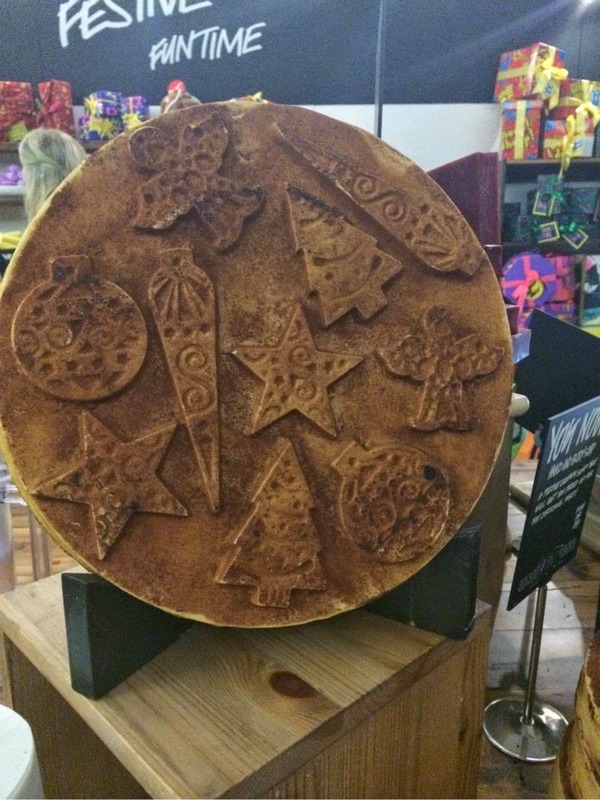 Lush Snowcake Soap £3.40 per 100g - The marzipan scented festive soap returns. 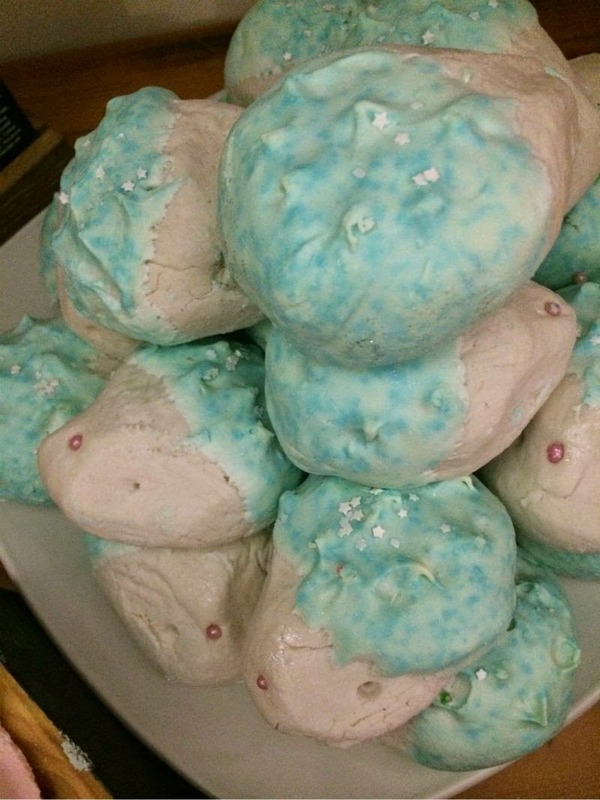 Lush Snow Angel (new) £3.95 - A brand new concept, half bath bomb/half bath melt. Rose scented. Sorry I don't have a great photo of this but you can see it the back of the above photo...kinda. 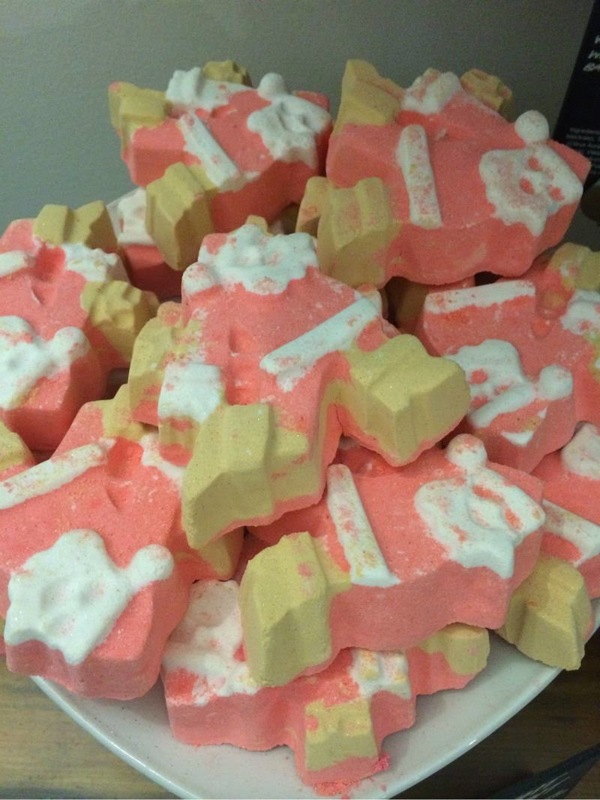 Lush Melting Snowman £2.25 - Back for 2014, a blend of cinnamon, clove, lime and orange. 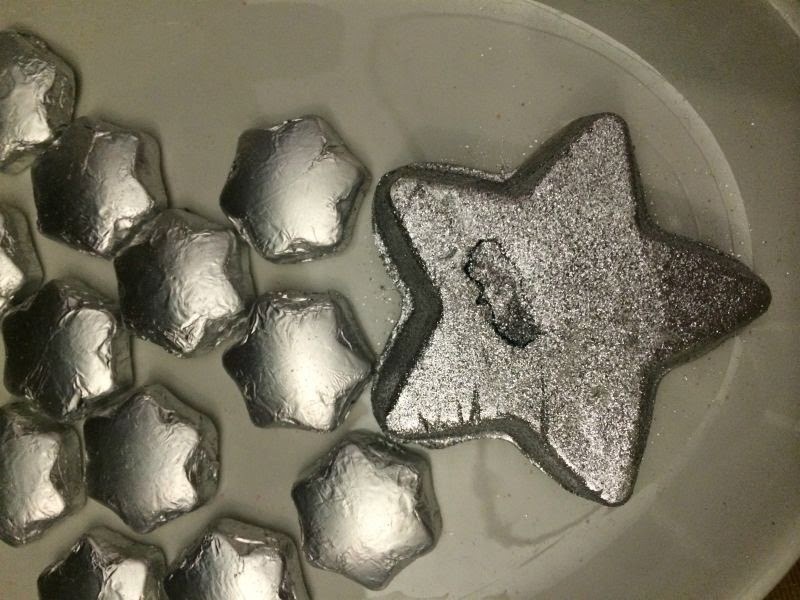 Lush Light Star Bright £3.95 - A super sparkly blend of cocoa butter, shea butter and coconut butter. 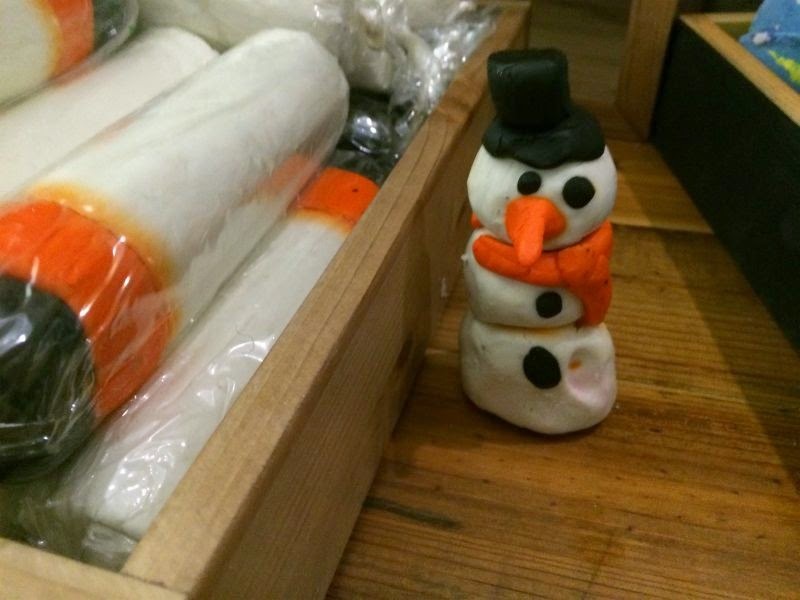 Lush Snowman Fun £5 (new) - Apparently scented with Lush's Carrot soap fragrance. A trio of soft soaps that can be modelled into whatever shape you wish...of course a snowman is suggested! Gold Fun £5 - Same as above only all gold and scented with Honey I Washed the Kids. Lush Hot Toddy Shower Gel (new) from £3.95 - I didn't imagine I would like this but my gosh does it smell like winter in a bottle. Imagine a roaring fire and snow outside. Notes include ginger root, cinnamon leaf, orange and lime. Please give this a test in store when it does launch. Lush So White Shower Gel (new) from £3.95 - Yep the apple bath bomb so many love is now an apple based shower gel. It smells exactly how the matching product does and I can imagine it will replace Snow Fairy in many a bathroom! Lush Snow Fairy from £3.75 - It wouldn't be Christmas without this sweet smelling shower gel. In my opinion it smells like bubblegum but I am told it is based on pear drop sweets. Lush Rose Jam from £4.65 - Another old favourite returns, as you can imagine this is sweetly scented by rose but contains argan oil as well as Sicilian Lemon. 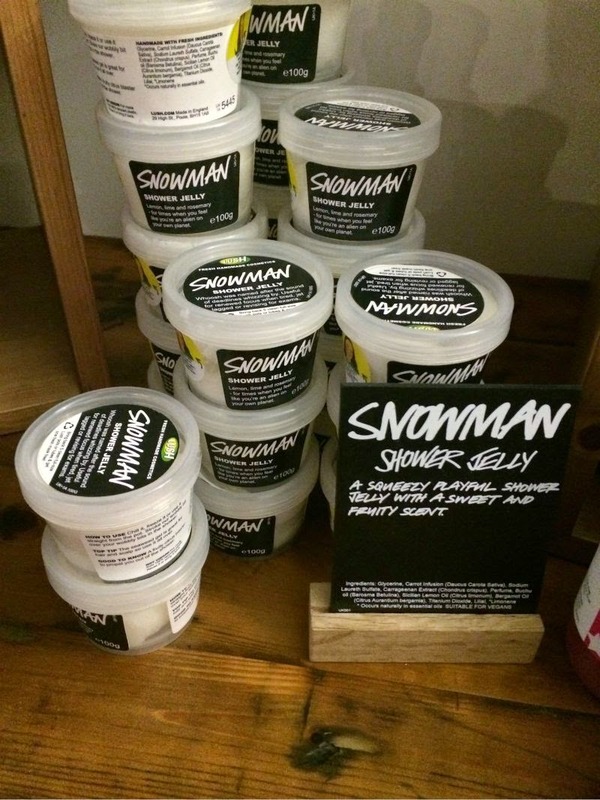 Lush Snowman Jelly (new) £3.50 - I love Lush shower jelly's as they are beyond fun - even if I have had to chase a dropped jelly around my bathroom one too many times ha! 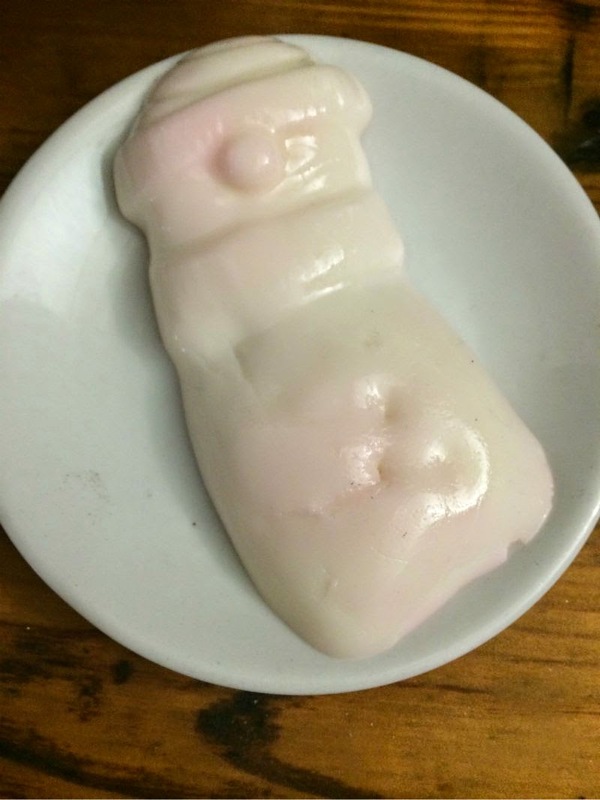 This year we have a snowman shaped jelly that has the same scent as Lush's Easter Carrot Bubble Bar based on the story "Can anyone smell Carrots? Said the snowman". 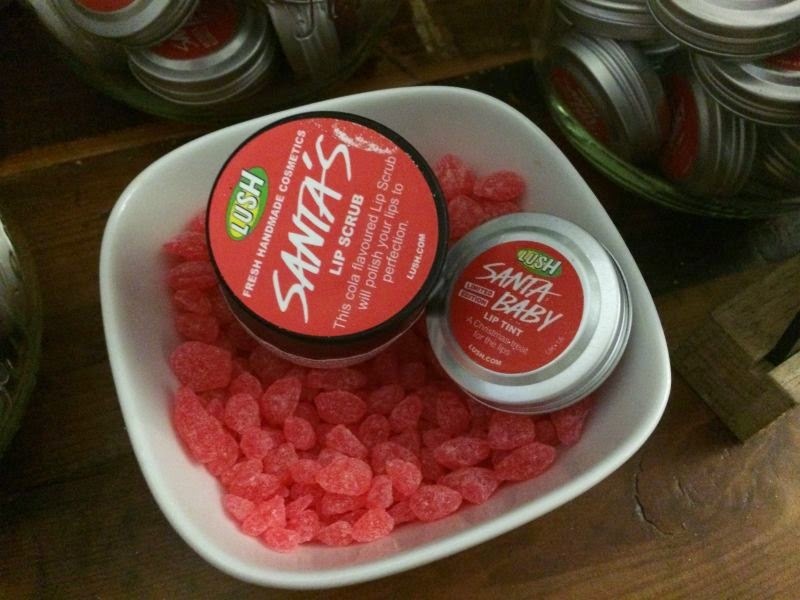 Lush Santa's Lip Scrub £5.50 - Another old favourite, this has a cola fragrance. Santa Baby Lip Tint £5.95 - A red lip tint with a cherry and date fragrance. 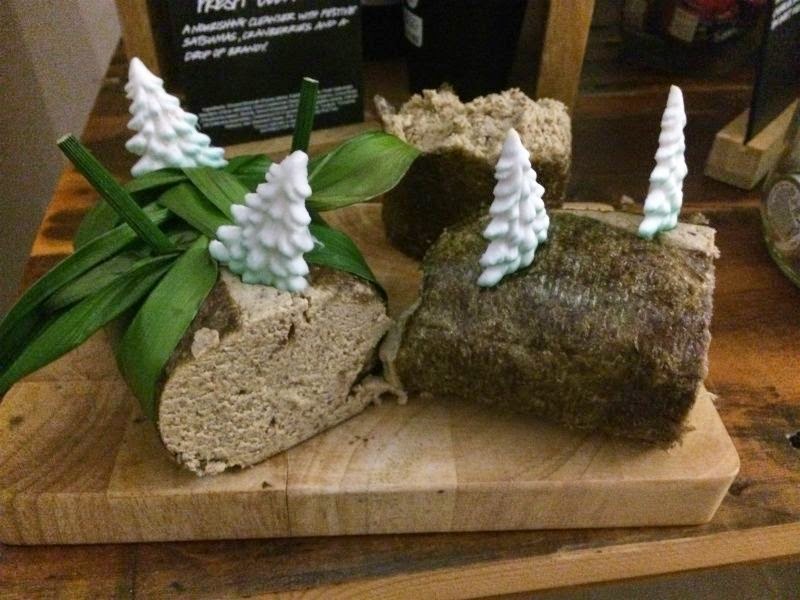 Lush Buche de Noel Cleansing Roll £6.26 per 100g - Back for another year, this yule log shaped cleanser contains ground almonds to exfoliate, almond oil to soften and cocoa butter as an emollient. 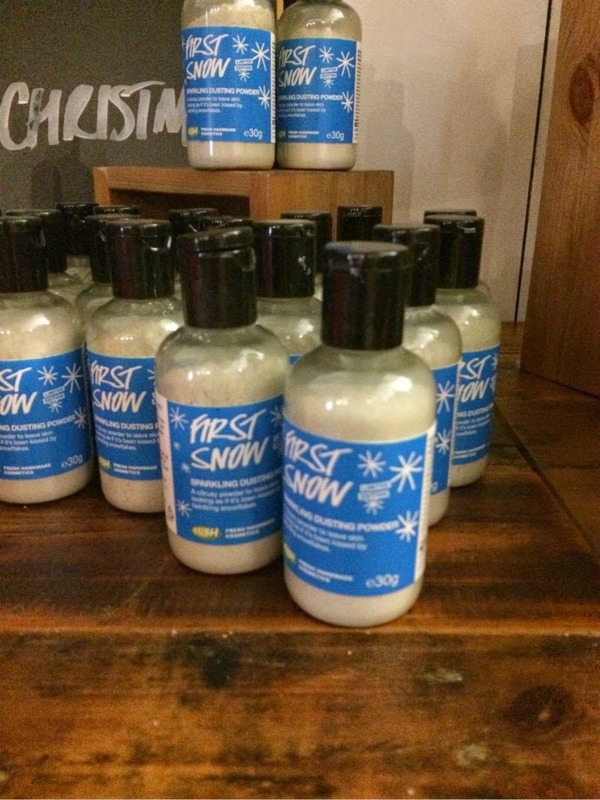 Lush First Snow Dusting Powder £4.75 - The festive period requires a little sparkle, A body powder that contains some of the most delicate and pretty particles of glitter I have seen. I'm not a huge fan of glitter in general but this gives a beautiful finish and illuminates rather than leaving you looking like a disco ball! This features the same scent as Lush Golden Wonder Bath Bomb. Lush Snow Fairy Sparkle Massage Bar £4.75 - Snow Fairy in a bar essentially only this contains moisturising butters. Personally I buy a few and melt them in wax burners to scent the home but then again I am a weirdo! This has been designed to massage the body as well as nourish. Lush Celebrate Hand and Body Lotion £12.95/225g - The festive body moisturiser is back, a blend of almond oil, cocoa butter, orange oil and cognac. All products will go in store and online October the 4th and of course are limited edition for the festive period. WOW WOW WOW! I'm seriously so excited to pick up these items! I may or may not have already scheduled a Lush trip for release day! 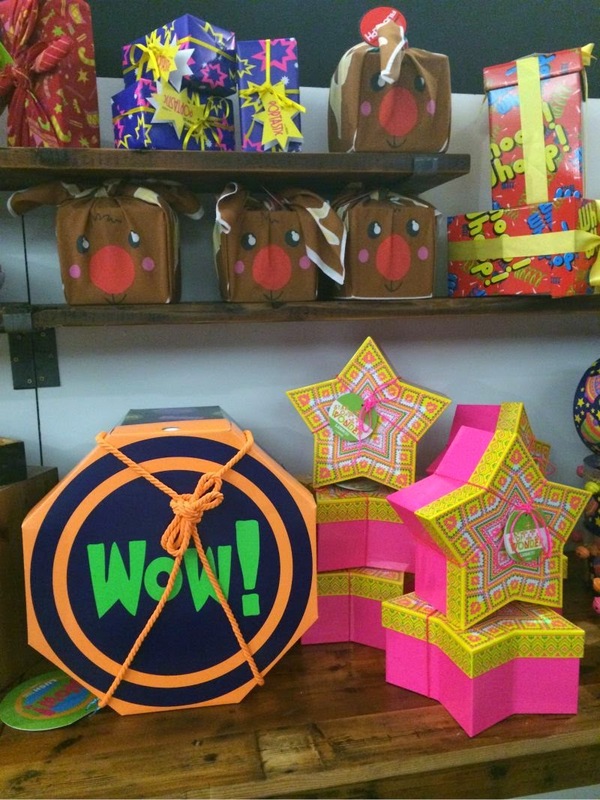 There are so many fab new items this year! Not to mention that i'm beyond excited to pick up some Rose Jam! I think I'm more excited for Lush Christmas than actual Christmas!! This has cheered me up no end - simple things please simple minds haha! I let out a squeal of delight over the Rose Jam shower gel - I've been hoarding mine for months! The return of Candy Mountain, Christmas Eve and the squish-faced penguin makes me very happy as well. Now if we can get some Comforter perfume and shower gel that'll be one brilliant festive season! There goes all my money! Love that they've turned So White into a shower gel. I'm so so excited, it all looks amazing! I cannot wait, christmas is the only time of year I shop at Lush so I am going to go mad on the 4th and order loads! Beyond excited at some of this! I can't wait for the snowman fun. I literally love this, bath time for me is the same now as when I was five. 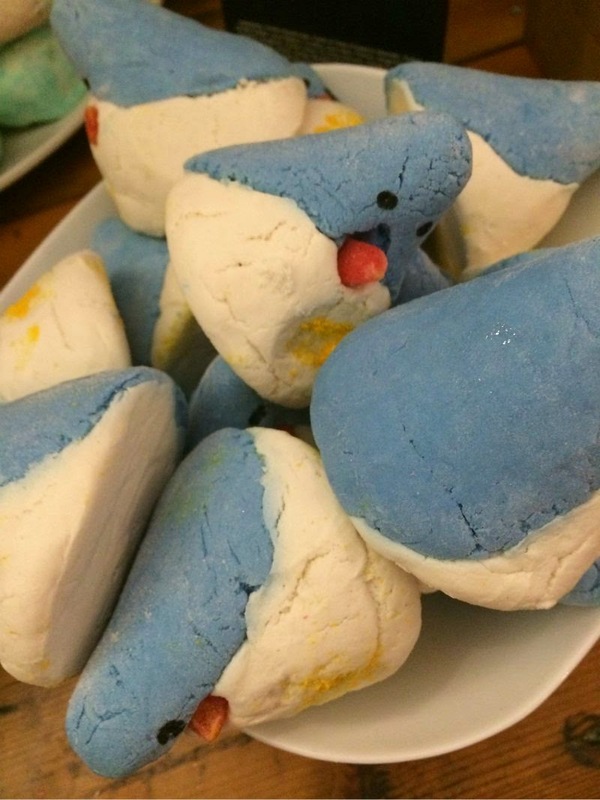 Some cute bath bombs and soaps on there too! Oh bloody hell this post is giving me LIFE! Roll on October 4th is all I can say. 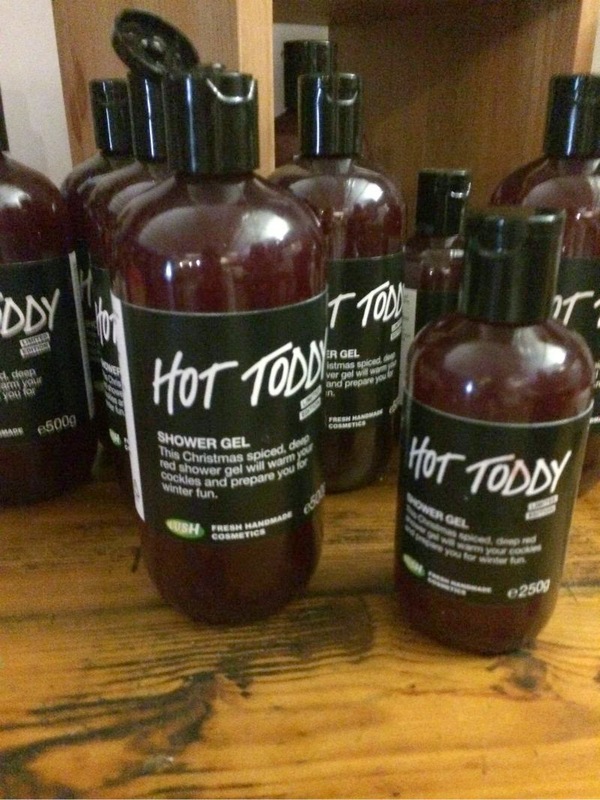 I've never been more excited for Christmas at Lush before, I can't wait to get my hands on the Hot Toddy shower gel! OMG, what fun is all that? Love, love, love! Cannot wait to get my hands on those x-mas goodies! So much new stuff! Really want to try the Hot Toddy and So White shower gels, plus I'm so happy Rose Jam is back but why no Ponche?! 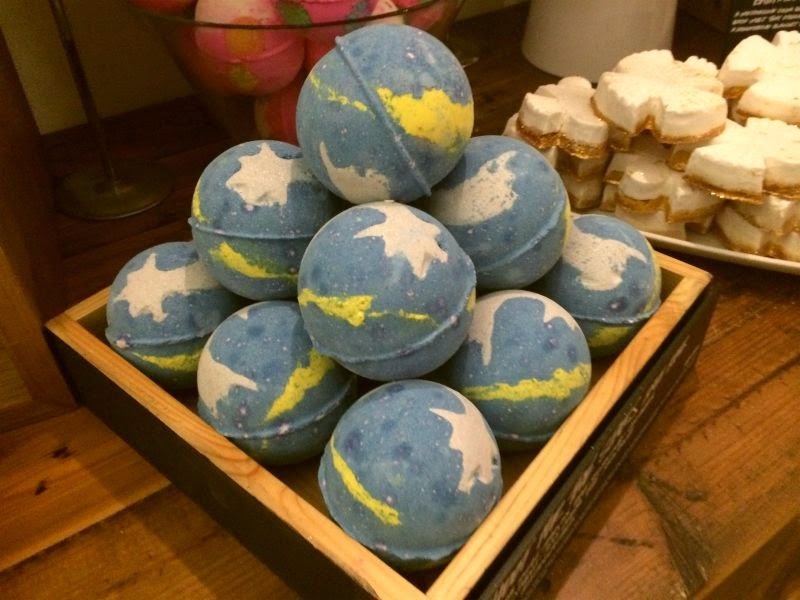 The Lush Reindeer Rock Soap looks sooooo cute!!!! Their products always look so cute and fun! The Christmas collection looks very very exciting! So glad they have now put So White in shower gels now..love that scent so much! Im also excited to try one of those hedgehog bars! ha! So exciting, I can't wait for Christmas! I absolutely love Lush's christmas ranges, definitely some treats there that I can't wait to try. I usually try and pick up lot's of their christmas bits in the sale after christmas though as you can always get some great bargains. I love the look of the Holly go lightly, hedgehog, reindeer rock and dashing Santa! I'm definitely getting the snowman shower jelly and reindeer rock soap. I have been moan about Lush making a shower gel or soap form of the comforter for a while now. So glad that they are making it now. wow this is scary how quickly christmas is coming around! can't wait to try out some new bits and bobs! I am sooooo excited about Christmas and I want eveything! I really need to start earning money so I can get some things! 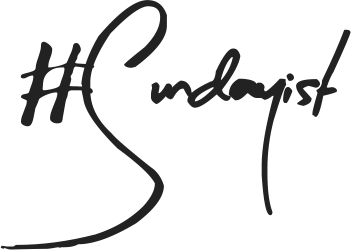 I love Lush and have done loads of posts about them and their products so click the link to see them! This has made me so excited for Christmas! 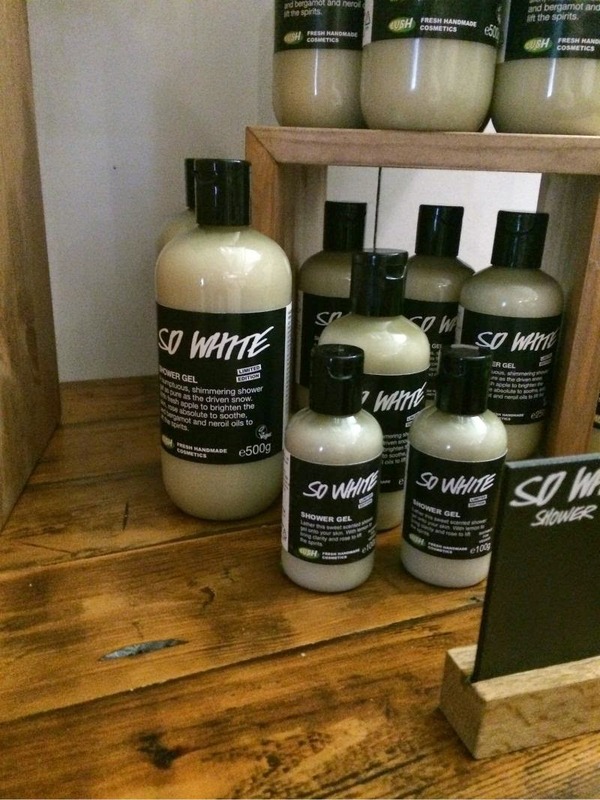 I really love the sound of So White shower gel! I am so excited for this already!! eeek!!!! Eek this post excites me immensely! I completely missed the Snow Fairy massage bar last year- I must have had my blinkers on. I'll be stocking up this year! All of these look super pretty! 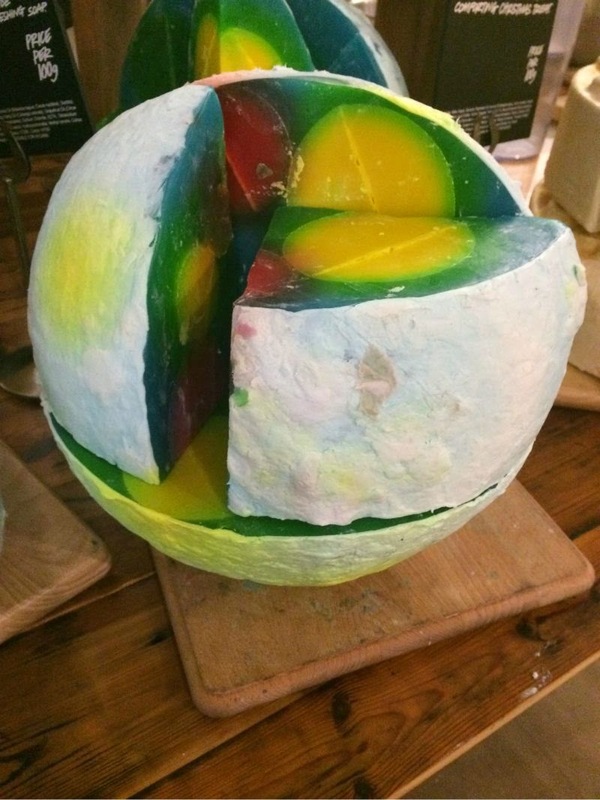 LUSH is so creative when it comes to the design of their products. Looks adorable! Can't wait to get the penguin! Okay - You hit my week spot! I am a lush enthusiast. Fantastic photos! Can't wait to get my first preview at the Lush store this weekend. Thanks for the great post. Oh my goodness! This has brightened up my day! 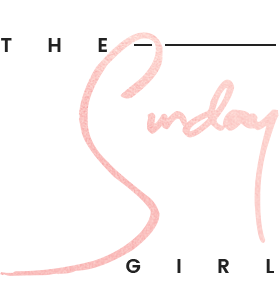 So many lovely things in this blog post. I wish you could smell things through blog photos haha! eeeee i can't wait ! I'm going to end up stocking up and spending a fortune at lush over Christmas. I LOVE Lush Christmas this year! Butterbear sounds delicious, just the perfect thing to pick you up. I'm so glad that Shoot For The Stars is back, I love this bath bomb so much, same about Gold Fun and So White too. :D I still have some bombs/bars left after last year. I am going to be beyond broke,, I want it all!! Going to have to buy some with each paycheck to cover it all! I love the love the lush Christmas range. Lovely post. There is new company who selling similar products like this one. Www.rigasoap.co.uk someone has tried it? Wish I'd had a chance to try shooting for the stars! All those products looks so lovely and sweeeeet!